November 8, 2015 November 9, 2015 . Well-known I Ching scholar Tze-Ki Hon (author of many important research articles and a book on the I Ching’s intellectual history) has teamed up with physician Geoffrey Redmond to create this well-written and nicely formatted book. Teaching the I Ching provides a readable, thorough introduction to the Chinese Book of Changes. 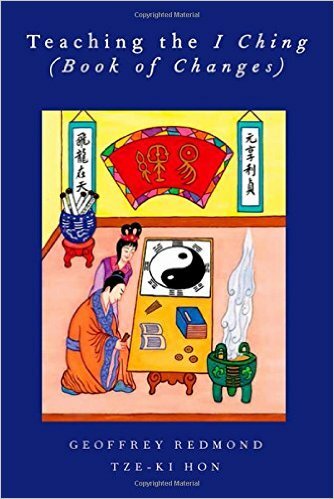 Ostensibly written for college professors who wish to include the I Ching in their classes, Teaching the I Ching covers a wide and thought-provoking range of topics, making the book of interest to a wide range of readers. A teacher preparing a unit on the Yijing can rely confidently on the material in this book. Its comprehensiveness and clarity will give a good breadth of issues and topics, with a substantial amount of depth. It can be paired with translations such as the Richard Wilhelm I Ching: Book of Changes for a complete set of material. While aimed at teachers, it is a pity that the book has such a high price; otherwise, Teaching the I Ching would have been a welcome addition to students’ reading lists. Perhaps the publisher can remedy this with a substantially cheaper softcover edition.